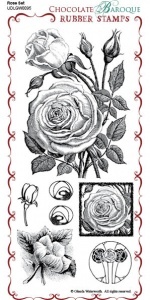 This rubber stamp set contains 7 images of roses including a large stemmed rose and several smaller roses. 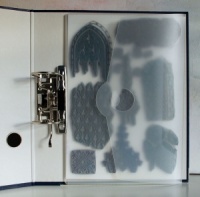 A wonderful set for creating backgrounds or using as part of a larger project. The main image would be fab stamped using a Memento inkpad,colouring with your favourite markers and, finally, glazing. Amazing! 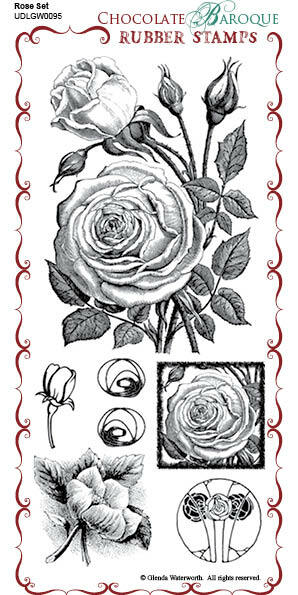 This stamp is really beautiful, lots of different rose styles and such good quality stamps. Who Can Resist A Rose? The arwork used for these stamps is of a high standard indeed. This rose is a delight, truly beautiful. I love it. Thank you Chocolate Baroque. What incredible detail on this stamp, and it stamps beautifully!! This is now my favourite image to teach watercolouring with!! It looks phenomenal done with Tombow's new pencil crayons and their blender pen! 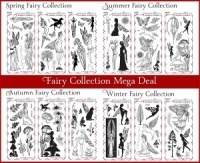 Just love this stamp set - the main focal stamp is amazing and every detail stamps beautifully as always. It is always a delight to see how different stamps look when stamped in different ways or colours.